My Facebook, Tumblr, and Twitter be here; I'd be very glad to connect with you! I wanted to give this as a gift artwork out to the super-sweet and impossibly patient friends who commissioned artwork from me over the years, but feel like I could have planned the perspectives and dynamism of this piece significantly better; I aim to do better next time! -- A dear person pointed out that "I've learned a lot; next time, I'll use that to do better, and learn even more" is something I say a lot, so I must get faster, learn faster, and make better work for y'all. Hahaha "Don't Stop Believin" I love it! This piece is great, I can tell you worked a long time on this. The amount of detail in this is awesome and I love the mood it sets. Do you might if I give one bit of con crit though? This is a solid enough piece as is, but I just wanted to mention something to keep in mind in future, not related to the perspective and dynamism as far as I know. My god this is a master piece! you better get a DD for this work! Beautiful detail and scale, love the color work and subtleties! Looool!! ^_________^ Thank you so very much. Your comment made my day, mamokin! I hope that all of those pixels bring you enjoyment. So many pixels! Oh, Pat'...! As I was looking at your avatar... I just noticed that you and kaleidomaru (Mark) both boast Bastion profile pics! This is the kind of world I want to live in! What an awesome and inspiring compliment that is to hear!! I'm very honored that you feel that way, dashahead. You and your work really deserve it, please never stop creating! Hey, guys! 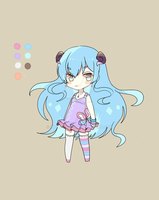 Aikou here~ I've found a contest here on dA that I think needs some more recognition! I'm most likely going to be entering myself, so please check it out! Hello and welcome to our first "Project-name-origins" (PNO) contest! and so we've decided to celebrate it with an art contest with cash prizes! Don’t worry, you don’t need to be an artist to participate because we chose a simple PNO related theme for the contest. Our judges will be looking for the feeling and meaning behind your submissions, rather than the artistic quality of the image. What do I have to do to participate in the contest? If you have an DeviantART account become a watcher so you won't miss out any updates on the contest.